Grandma's recipes are often the most effective. 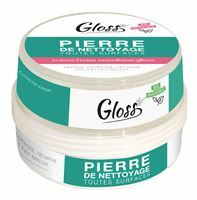 Discover Gloss for a household 100% natural! 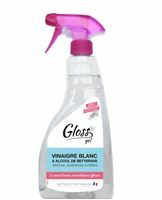 Gloss revisits the classic products of yesteryear by offering brand new GEL formulas in a convenient, ready-to-use format. Its gelled texture, very concentrated in active, allows to target the surface to be treated; the gel clings to surfaces to maximize its effectiveness. 100% natural *, fragrance free, allergen free, preservative free, colorant free, paraben free, endocrine disrupting and 100% recyclable packaging, Gloss formulas combine technology and simplicity of the past. Gloss also take the essential essentials of grandmother, powder, which have been proven (baking soda, citric acid, soda crystals, earth Sommières etc.) and the traditional stone cleaning! An ideal range to make your own recipes for household products! 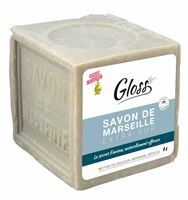 Simple but effective, healthy and ecological, Gloss is the solution for a perfect interior. Gloss, the secret of yesteryear naturally effective. 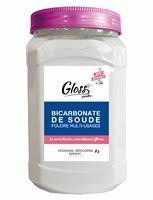 Gloss white vinegar is a natural product for the maintenance of sanitary but also washable surfaces.